PokerNews Op-Ed: Where will Hellmuth & Duke Go? Who’ll be the next Team UB Pro? 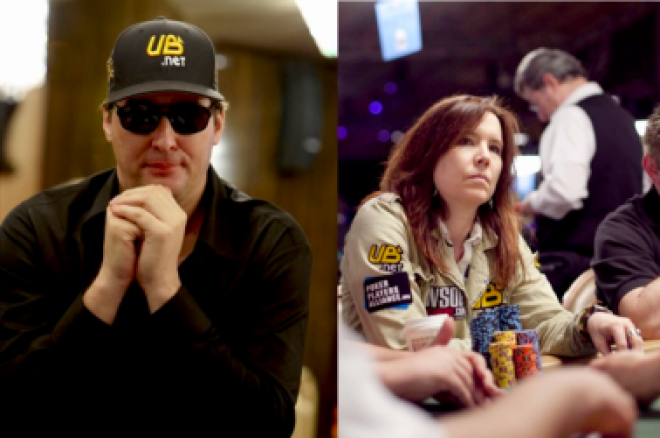 Just before 2011 rolled around, the poker industry received news that two of poker’s most recognizable faces, Phil Hellmuth and Annie Duke, were parting ways with UB.com, or maybe it was the other way around ― the details aren’t clear. Supposedly it was a mutual decision and amicable split. The questions on everyone’s mind is where will they go next and who will take their places? Now that Hellmuth is a free agent on the poker market, everyone has been wondering where he will end up next. Poker experts seem to agree that wherever Hellmuth goes, he’ll want to be the top dog. After all, he has a big personality and enjoys the spotlight. With that said, Full Tilt Poker wouldn’t be a good fit since it has numerous superstars such as Phil Ivey and Patrik Antonius. Likewise, PokerStars has Daniel Negreanu as its big representative, which is a shame considering that the site is the go-to place for poker tournaments, Hellmuth’s specialty. The number one destination being whispered through the poker grapevine is WSOP.com. Caesars Entertainment has long wanted to offer online poker on their popular site, which is does in some markets, but must bide their time until online poker is legalized and regulated in the United States before going mainstream. If and when that happens, would there be a better pro to serve as the face of the company? The overwhelming consensus is no. Hellmuth is the all-time World Series of Poker bracelet winner, with 11, and also has the most cashes with 79 in-the-money finishes. It seems like a logical fit. So where will Duke end up next? The two leading contenders seem to be Full Tilt Poker, where her brother Howard Lederer is a Team Pro, and WSOP.com. The former is a possibility although she did pass on the opportunity earlier in her career in favor of UB, while the latter makes sense considering that she has long been involved with the WSOP Academy; however, since WSOP.com is currently restricted to limited markets, it is unlikely she would be brought on board until they do so (the same could be said about Hellmuth, although he could still be used to promote all things WSOP). Another possibility is that Duke doesn’t sign with anyone ― at least for awhile. The former Celebrity Apprentice star and NBC National Heads-Up Champion is certainly a recognizable face and will no doubt be in demand; nonetheless, she may opt to take a break from the hectic world of sponsorship to focus on her family, her recent engagement to Joseph Reitman, and business ventures, which include her own business, MyMixedNuts, and her new web show, The Annie Duke Show. On January 1, Negreanu also tweeted a harsh raction: "So disappointed in @prahladfriedman signing with the devil who stole millions from him.He was so 'anti sellout' then he did the unthinkable." Who knows, maybe the whole Friedman rumor will turn out to be just that. Maybe UB has another pro in mind. After all, Peter Jetten tweeted on New Years Eve: “Not much of a New Years resolution type, but I do have some big plans for next year, and a big announcement for next week.” Could that big announcement be a new sponsorship deal? Maybe, but I don’t think his signing with UB would satisfy Sebok’s claims that it is “going to shake our team up” and that “People won't see this one coming.” I guess the poker world will find out next week. Note: Jetten later tweeted: "Not UB obvvvvvvvv"
For all the latest in the poker world, be sure to follow PokerNews on Twitter and like us on Facebook. The views expressed in this article are those of the authors and are not necessarily reflective of views of the PokerNews.com. Will Joe Sebok's Signing With UltimateBet Be a Good Thing?